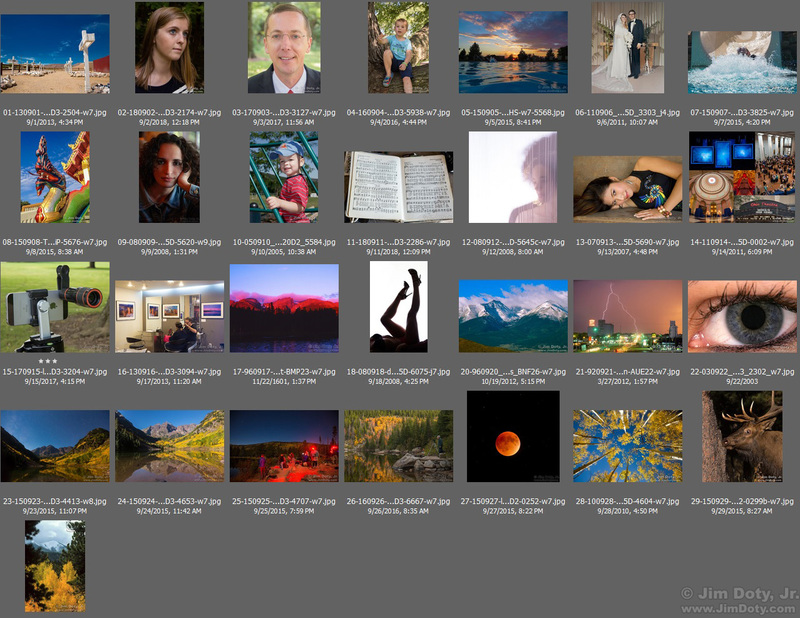 Some of the digital images in my “favorites photos” folder. It all started the morning of August 6, 2018 when I woke up and asked myself, “What is the best photo I have ever taken on August 6?” So I went through my “favorite photos” folder to find all of the photos I had taken on August 6, no matter what year. I found only three photos, all of them portraits. My favorite August 6 image is a head and shoulders portrait of a young woman in a wedding dress. So I posted it. August 7 I did the same thing. I found no photo for August 8. (August is not my favorite photo month.) August 9 I found three photos to pick from and posted my favorite. What started as a one time thing has become a regular thing. For some dates I post only one favorite photo. For some dates I add a second or third or even a fourth place favorite photo. 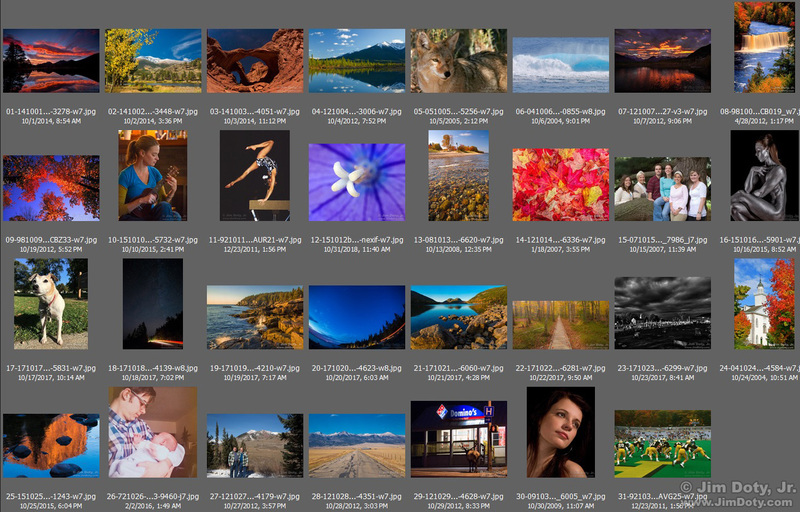 Sometimes I post extra photos that help tell the story about creating the favorite photo or photos. Depending on how busy I am or my travel schedule, I can get behind on my daily posts. I do eventually catch up. In retrospect, it would make more sense to start a project like this January 1, but this was supposed to be just a one day thing that morphed into a year long thing. At the end of each month I write an article with a photo collage of the month’s favorite photos and a link to each date’s photo and article. Links to the monthly articles are at the bottom of this page. Monthly photo collages are also below. “Favorite” photo is not the same as “best” photo. There is a big difference. My best photo for a given date might be in the most interesting location, or the most unique situation, or the most beautiful light, or the most eye popping photo. The best photo for each date should be technically well executed. My best photo for the day would be something I would submit to a photo contest, or submit for publication, or something I would hang in a photo exhibit. Instead for each date I am choosing my favorite photo taken on that date, no matter the reason. My favorite photos often involve a story or a special memory. Favorite photos are often about family or special friends. Favorite photos have emotional as well as visual significance. That means a photo of one of my grandchildren might be chosen over a photo of an impressive landscape. 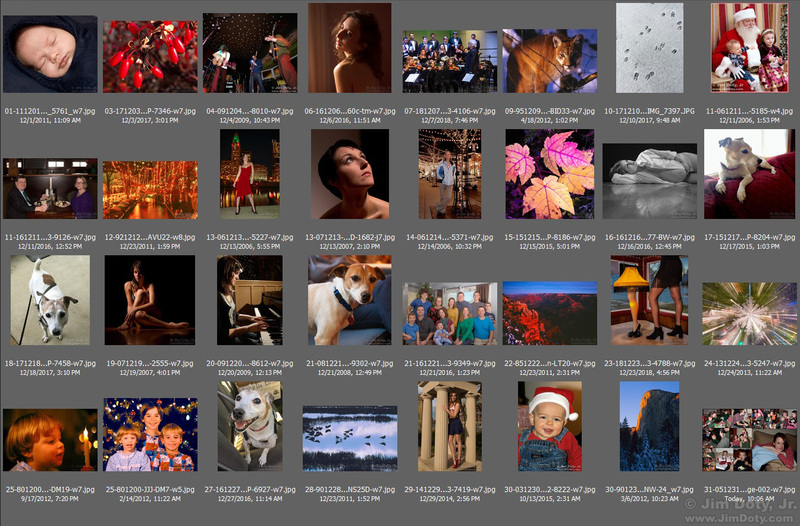 Put another way, almost all best photos are also favorite photos, but not all favorite photos are best photos. In this series you will see both. The difference should be obvious. When experienced photographers submit photos for publication, or to a gallery, they submit their best photos (which usually happen to be their favorite photos too). They do not submit their favorite photos that are not also their best photos. Less experienced photographers often submit favorite photos, photos that they are emotionally attached too, that are not also their best photos. Sometimes less experienced photographers don’t even think about the difference between their best photos and their favorite photos. This is not to disparage favorite photos. Favorite photos are very important. They remind us of special moments and special people. Favorites photos have an important place in our lives. They are tangible reminders of cherished memories. It doesn’t matter if they don’t hang in a gallery some day, or end up being published in a book, or a national magazine. Put your special favorite photos in a book and have it printed yourself. There are several good companies that can do this for you at a reasonable price. Or have your own calendar made. I have a series of calendars going back over several years that feature two of our grandsons. They are as important to me as the professionally produced Ansel Adams and David Muench calendars that hang on my wall now and will be tossed at the end of the year. One of the reasons for this series is to remind myself of the difference between best and favorite. I hope it is helpful to you too. 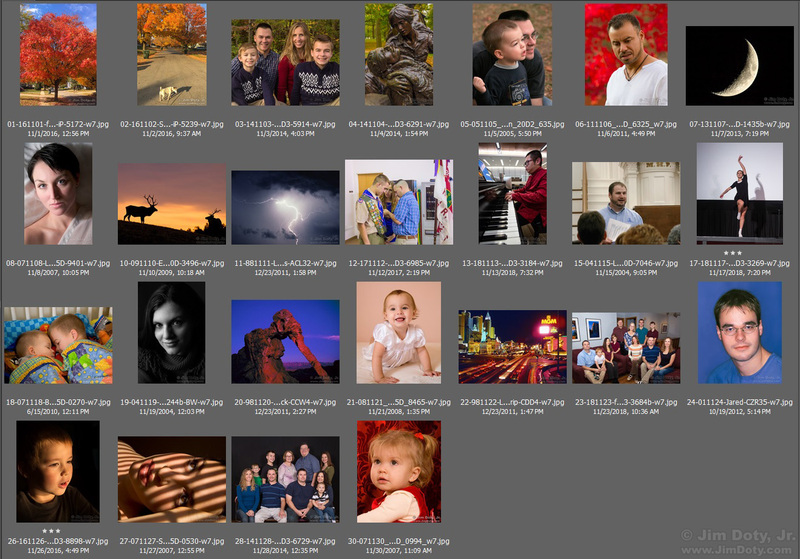 Some of the scanned slides and negatives in my “favorites photos” folder. The favorite photo (or photos) for each date are picked from the “favorite photos” folder on my computer. A more accurate but unwieldy name for the folder might be “photos I have worked on, no matter what the reason, that I want to have together all in one place”. 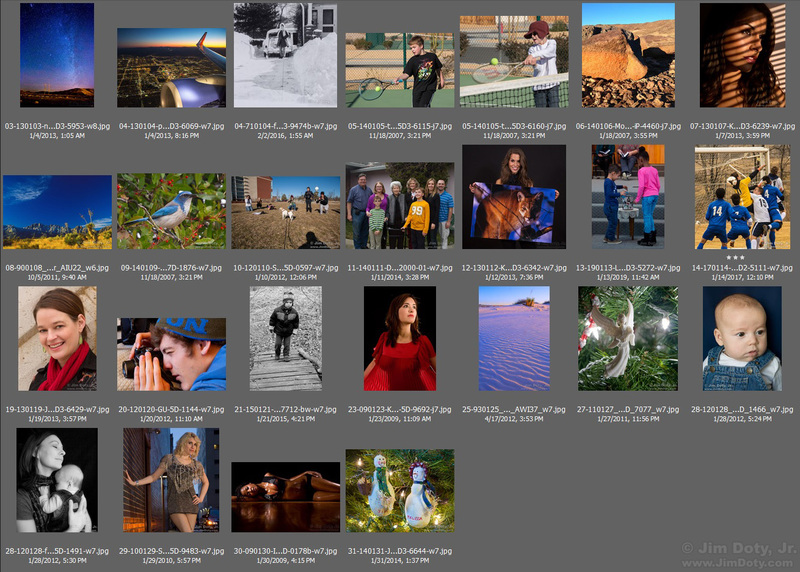 Whenever I work on a photo for whatever reason, I drop a copy into my favorite photos folder, including variations (like different crops, or both color and B&W versions). Many of these are my best or most favorite photos. 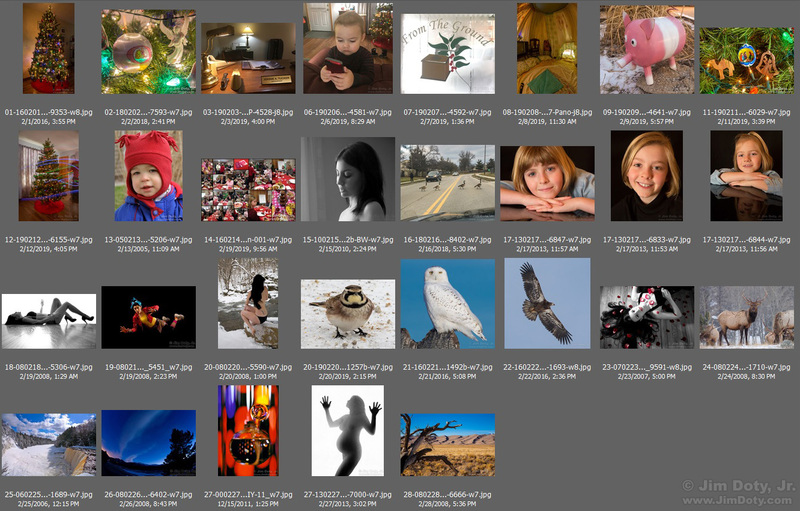 If I create an illustration for an online article or a print publication, it goes into the favorite photos folder too. Some of these photos are pretty mundane, like showing the dials or menus on a camera. Some of photos I post on Facebook end up in the folder too, like “our grandson came to visit today”, or “we had another traffic hold up due to a goose crossing in our neighborhood”. 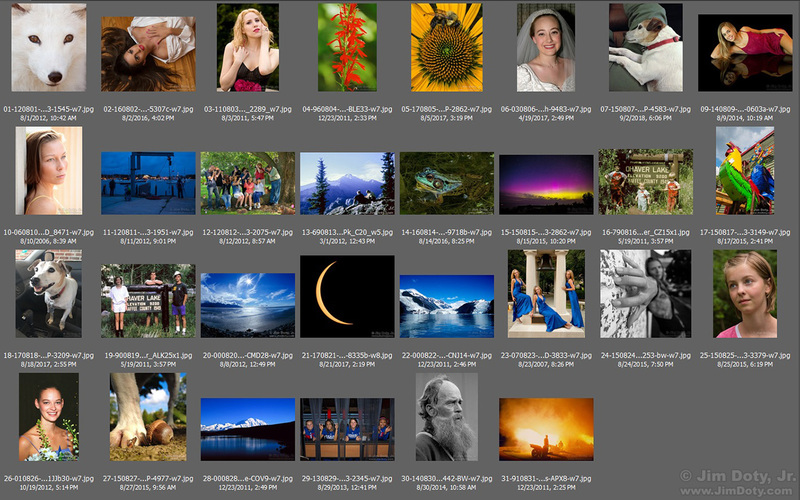 All of this means the photos in this folder vary widely in terms of interest or even quality. Since starting this project, I have found favorite photos that somehow didn’t get into the “favorite photos” folder. I add those to the folder, but I have not gone back to re-do any of the daily articles. 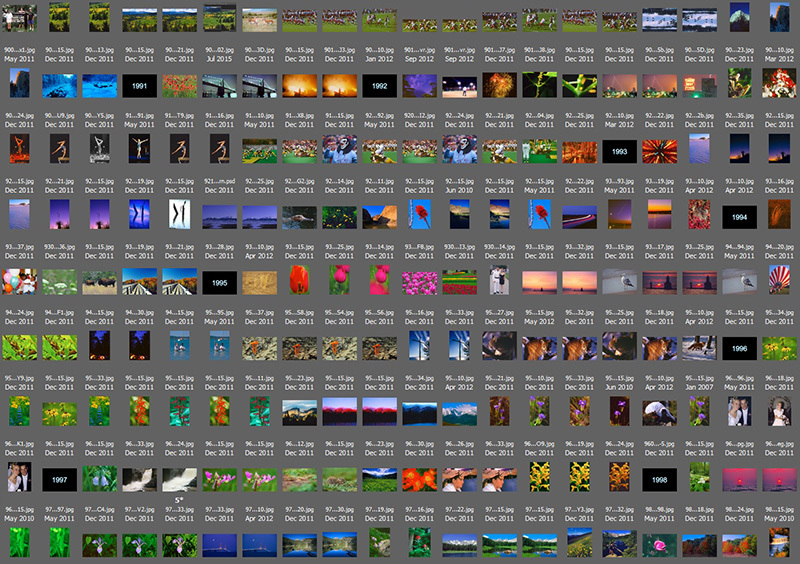 In terms of years, the folder mostly has digital photos going back to 2003 (the year I bought my first serious digital camera) along with some of my favorite scanned slides and negatives (converted to positives) going back to 1985. There is also a small smattering of photos created prior to 1985. 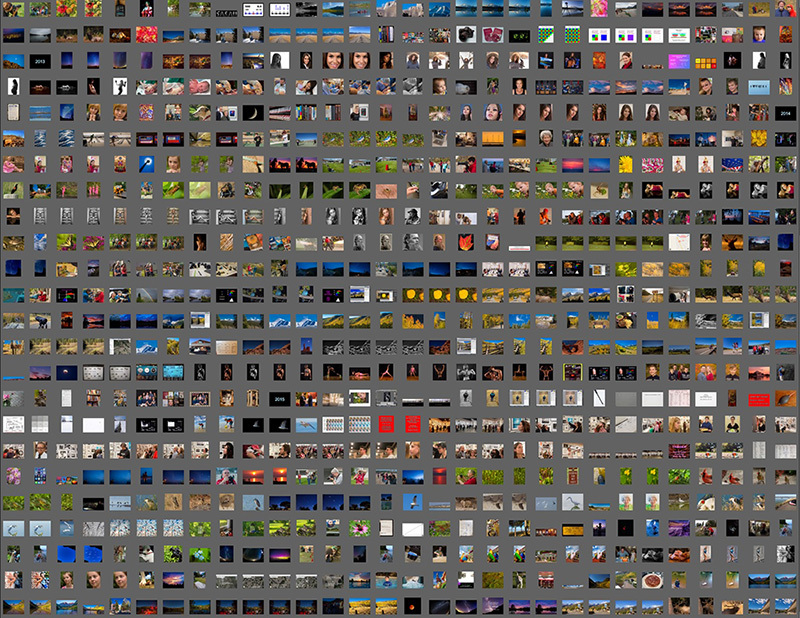 Right now there are over 3400 images in my favorites folder. Scattered equally over the 365 dates in a year, that would be about 9 favorite photos per date to pick from. In reality, some dates have no photos at all. Some dates have only one or a few photos. Other dates have 50 or 60 favorite photos. I take a lot more photos in the fall color season than I do in the dead of winter. (Winter is not my favorite photo time of year.) Expect a lot days in the winter that do not have a favorite photos post. Originally posted August 10, 2018. Updated February 28, 2019. For links to the story behind each day’s favorite photo, check the Links to Monthly Articles section, below. Favorite Photos, August. Click for a larger version. Favorite Photos, September. Click for a larger version. Favorite Photos, October. Click for a larger version. Favorite Photos, December. Click for a larger version. Favorite Photos, January. Click for a larger version. At the end of each month I write an article and include a collage of all the favorite photos for each day of the month (but I do not include the 2nd, 3rd, or 4th place images). Each monthly article also has links to the stories behind every daily photo. As each monthly article is completed, I will add the link here.